The future is going to be different than today in ways we can’t entirely predict. Countless possibilities stretch out before us as science continues to advance in multiple fields. We can make educated guesses about those possibilities and when they’ll become realities, but there are hurdles in the way that prevent us from knowing exactly which paths will open up and when. Over the course of human history we’ve seen this pattern repeat time and time again. Breakthroughs are made all the time and cause fundamental changes overnight, like the creation of gunpowder, the discovery of electricity, or the invention of antibiotics. And the funny thing is, because a lot of these breakthroughs can be due to chance, we really can’t be absolutely sure when and how these changes will come. There are people who work towards these sorts of breakthroughs for a living, however, and they’ll often tell us where they think things will be going. Someone working in the development of artificial intelligence will have some pretty convincing arguments about when an artificial superintelligence might be created. Someone involved in fusion research will have a credible sounding prediction of when their reactors might be able to power our civilization. And every once in a while NASA will drop us some interesting pictures that make us wonder if they’re trying to tell us something. As speculative fiction writers, one of the fun things is to take ideas like this and run with them as far as we can. 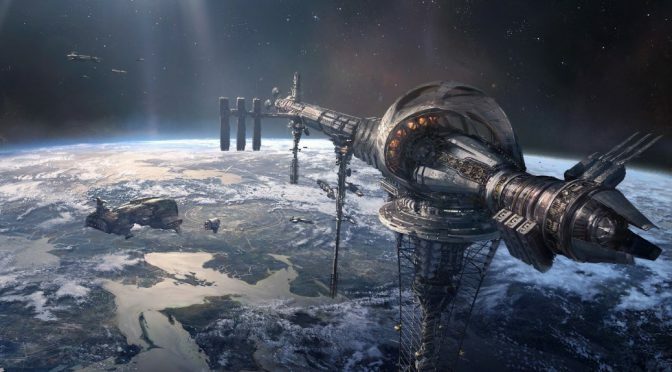 You’ll find few people who get as fascinated with the idea of technological singularities as scifi authors. And, while a lot of us may have a looser definition of what this singularity may be than academic communities, most people who are concerned with this world changing event base their stories in some aspect of modern scientific understanding. Even in instances where we hand-wave it away, there’s a respect for science involved. For as ridiculously implausible as most FTL concepts are, for example, they exist because someone realizes that FTL would be a game changer in a universe far more vast than we once realized. 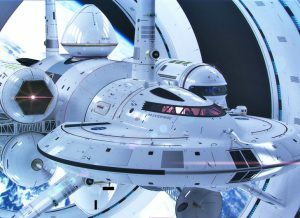 In fact, even without going faster than light, there are a lot of technologies related to space travel that get scifi authors and fans really excited. Yet, in the modern discourse, there are a lot of people who have a hard time understanding just how important space can be for us down here on Earth.